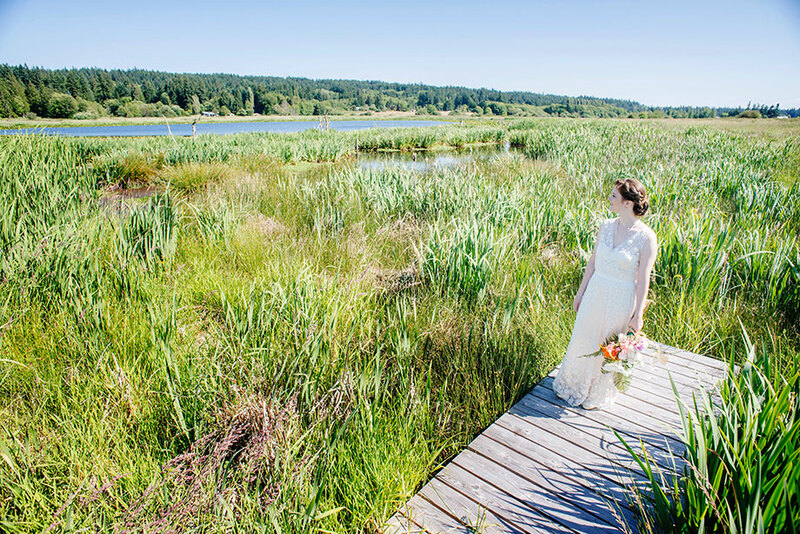 Simply thirty minutes from Seattle an enchanting ferry ride awaits your guests as they embark on a true getaway weekend to Whidbey Island’s premier wedding venue. Once there you and your guests will enjoy 10 acres of privacy with extensive gardens, lush woods, and scenic prairie land that winds down to a private lake and boardwalk. 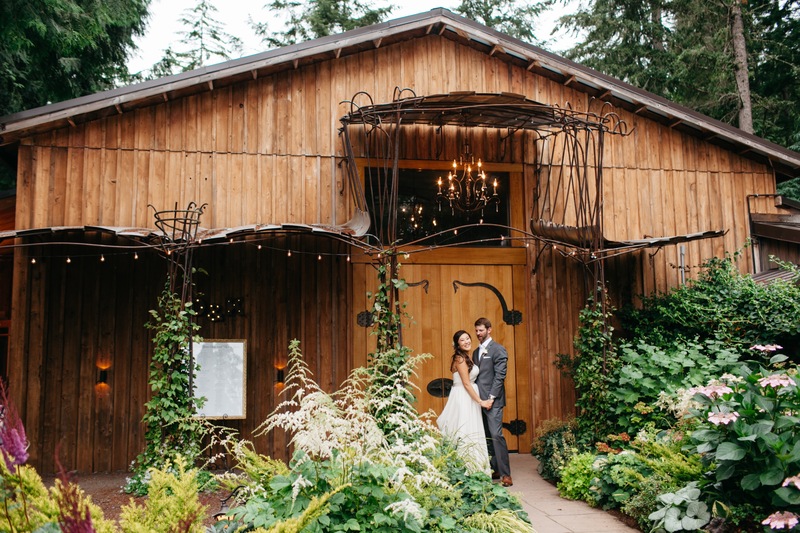 The magnificence of nature in this rain shadow destination is accented by the cooled and heated 6,200 square foot indoor facility that has the charm of a classic barn with the elegance you desire for your wedding day. 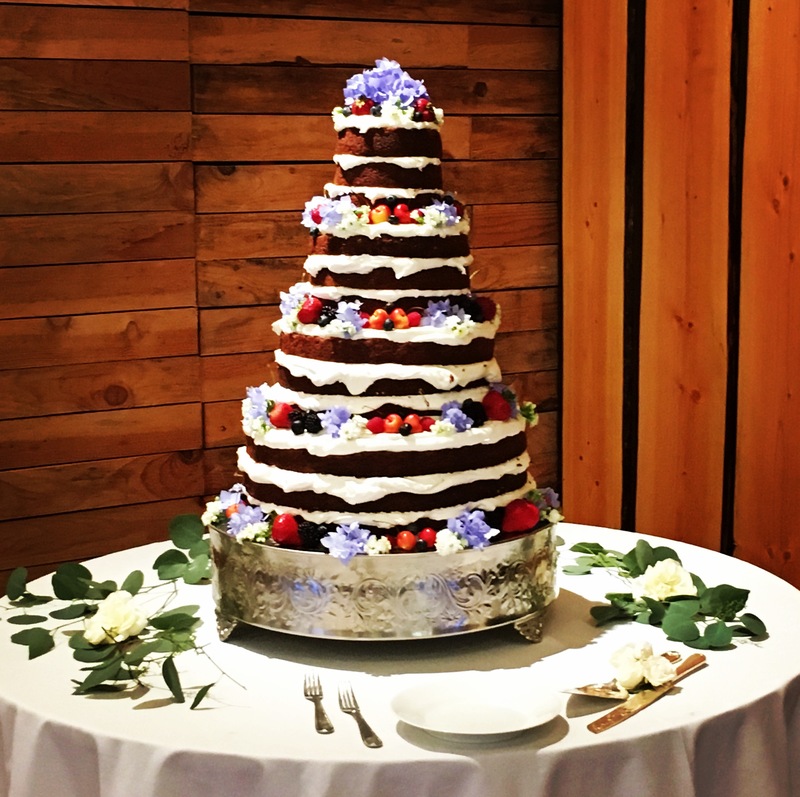 menus, wedding cakes or dessert arrangements everything is made in house with all the flavor and care your day deserves. Imagine... Beauty, Tranquility, Elegance and Taste inspired by your wishes. 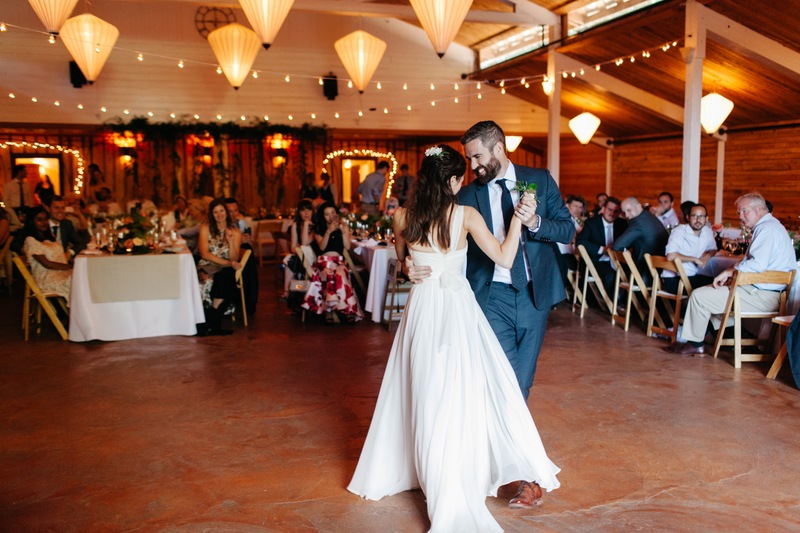 From plannind to ceremony, dining through to dessert and of course dancing we make sure everything has it at Fireseed. Now accommodating 200-225 people, inside or outside. Fireseed Catering was everything we could have asked for and more! From our first tour of the property with Dawn we were impressed by incredible attention to detail, in the property and day-of preparation. On the grey February day of our venue tour, Dawn described the different types of flowers blooming at each time of year, and told us exactly how she envisioned details, down to our entrance into the reception. The gardens were in full bloom for our wedding in August and our guests enjoyed touring the flower beds and on-site vegetable garden. 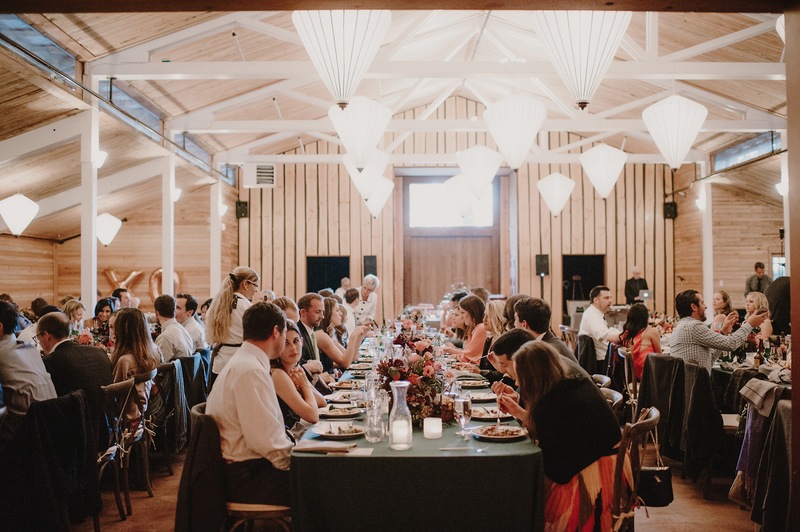 The barn where the reception was held is the perfect blank slate for any decorations - the word "barn" really doesn't do the building justice. Coordination of food and vendors with Dave was a great experience. 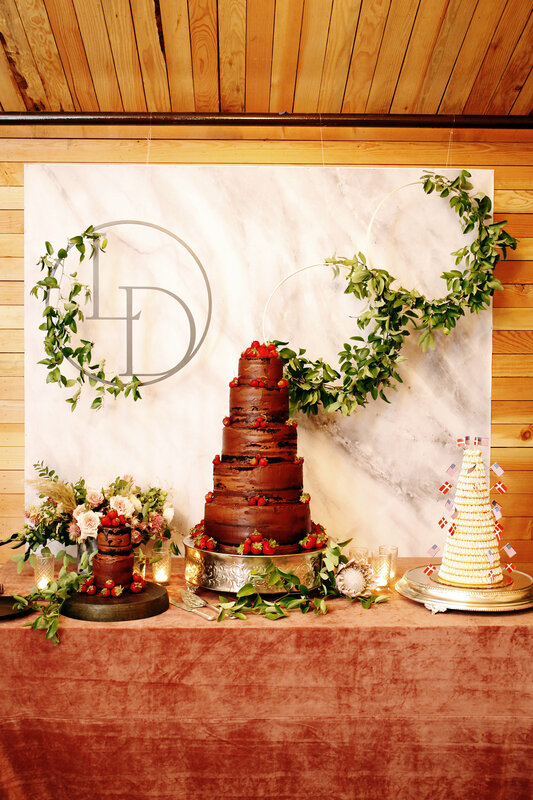 Our only complaint with the food is that there were too many amazing sounding options and it was hard to choose what to have on our wedding day! Dave gave us a list of ideas and then flexed with us to fit exactly what we were looking for. We were looking for a "tropical northwest" menu and Dave delivered. 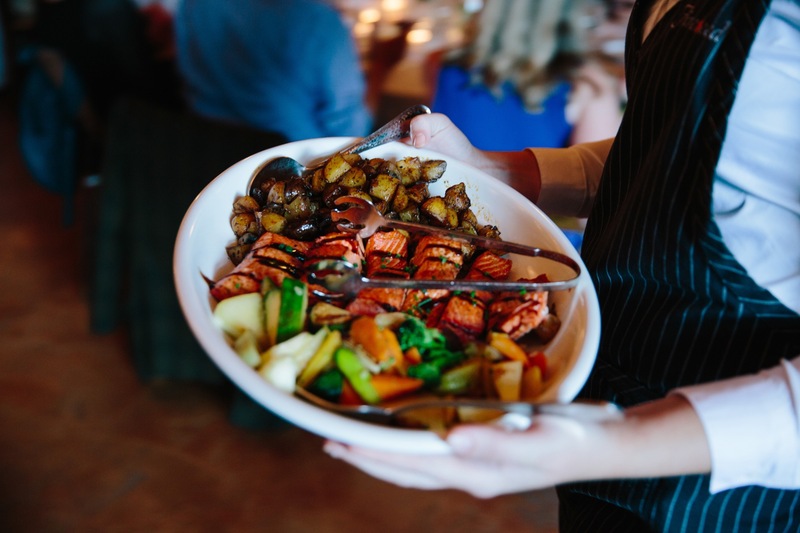 Our guests enjoyed soy glazed short ribs and salmon with beurre blanc, buttery potatoes and a perfectly cooked side vegetables. My husband requested fried chicken sliders as an appetizer and they were delicious. Our dessert was house-made ice cream sandwiches with homemade cookies. There was more than enough food on the family-style platters and refills just kept coming. Many people had told me that I would forget to eat on my wedding day, but I ended up eating some of everything and going back for seconds! My recommendation for anyone who books Fireseed is to use the Resource page on the Fireseed website. We did a lot of vendor research and each time we found a vendor we loved we saw that it was already listed on the Fireseed website. Dave and Dawn know good vendors when they see them and work very well with anyone onsite. I could go on and on about what a smooth, stress free experience we had working with Dave and Dawn. 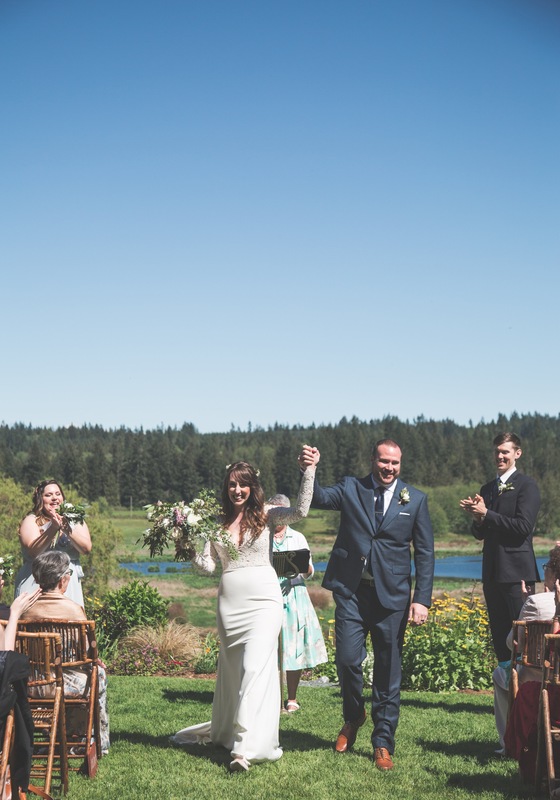 Our guests raved about the venue, the food, and how relaxed they felt as soon as they stepped onto the property - Fireseed really captures the laid back energy of Whidbey Island, but without a single detail missed. Should You Get Married Here? : Hell Yes. VENUE: Many guests have told us that it was one of, if not the most beautiful wedding they had ever been to. The venue at Fireseed is unparalleled. As a nature/PNW loving, adventurous couple we knew we had to have our wedding here and toured it during the winter of 2015. It was still beautiful even then. 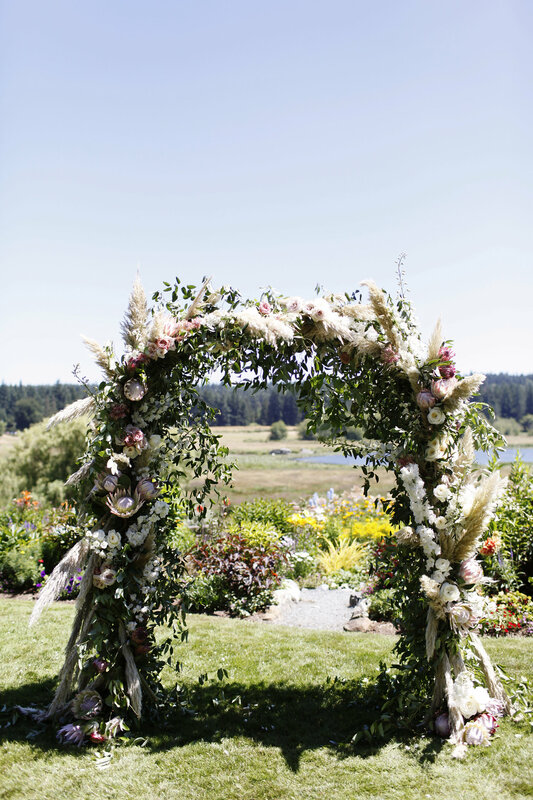 What a shock it was to see all the gardens and flowers in full bloom on the wedding day! It was so beautiful. It was like a dream. I couldn't believe it. There is so much to do at Fireseed. The grounds are expansive - they have wooded areas, outdoor games, gardens, a large field, and a boardwalk that sits on a pond. We loved giving guests the freedom to roam and explore, as we wanted them to make their day their own as well. I can't say enough how beautiful the venue is in the summer. The flowers were so spectacular. We decided not to have an arch because the backdrop was too beautiful to cover up. The reception hall is spacious and beautiful. It has a classic, rustic charm with tasteful materials and decor. Perfect. SERVICE: Everyone got their food promptly during the reception, and during cocktail hour the drinks and food kept coming. The staff was very friendly and attentive. Again, Dawn and David are awesome. Dawn helped coordinate on the day of the wedding to kept things running smoothly. Huge weight off my shoulders. FOOD: Some guests have said it was the most delicious food they have ever had at a wedding. Personally, this is definitely true for myself and my family. It was so good. Everything from the cocktail drinks, to the main course, to dessert. I honestly wish I had eaten more. COMMUNICATION: We just had our wedding here last weekend and it was incredible. Dawn and Dave are just amazing. From the beginning Dave has answered every single question we've had and has never made us feel that anything we asked was unimportant. They made us feel like we were their only clients even if they probably were juggling a boatload of other e-mails. They have been extremely thorough and thoughtful in their communicate to us which was a big stress relief. In CLOSING: Fireseed is an incredible venue with so much to offer and within very reasonable price. The service is impeccable and the inclusiveness of the venue/food/dessert/rentals/day of coordinating helps SO much with planning. I've heard many vendors now say that Fireseed is their favorite place to go. I am so thankful and feel so lucky we were able to get married here. I couldn't have asked for a more perfect wedding day. Everything ran so smoothly and felt like a fairy tale. Thank you Dawn and David. A friend in the wedding industry highly recommended Fireseed to us, so combined with the reviews we read online, my husband and I couldn't wait to see it in person. We remember one online review in particular which basically said, "book Fireseed now and don't think twice!". So, we took the ferry over to Whidbey Island and made a reservation as soon as we could! 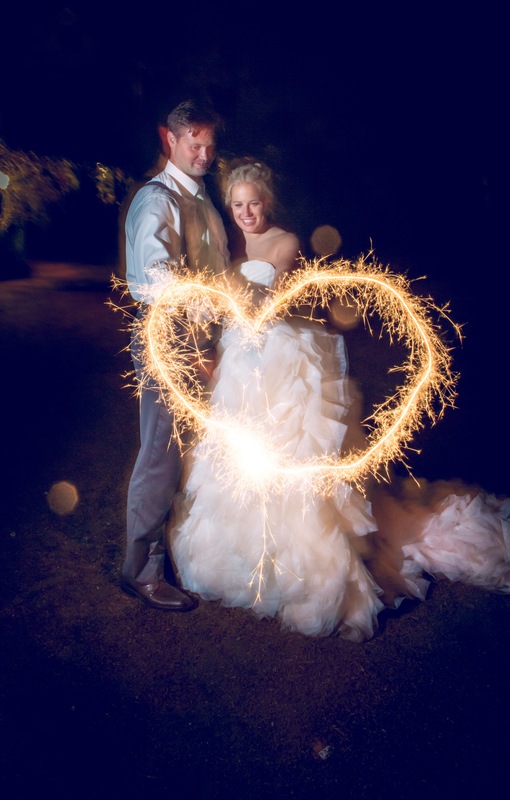 Fireseed is a gorgeous venue surrounded by Evergreen trees with a lawn overlooking a lake and breathtaking gardens. The care they put into their gardens is evident during all seasons. This setting made for some beautiful fall photos. 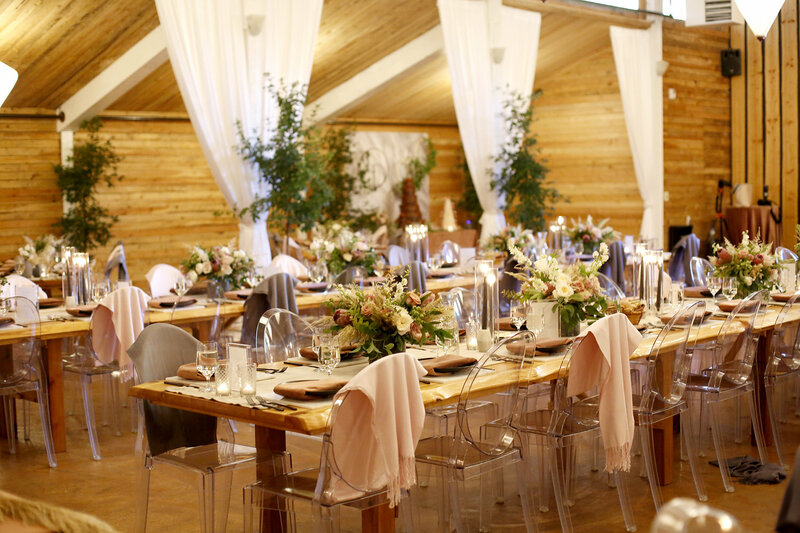 They offer a renovated (and heated) barn to host your reception or ceremony depending on the weather. 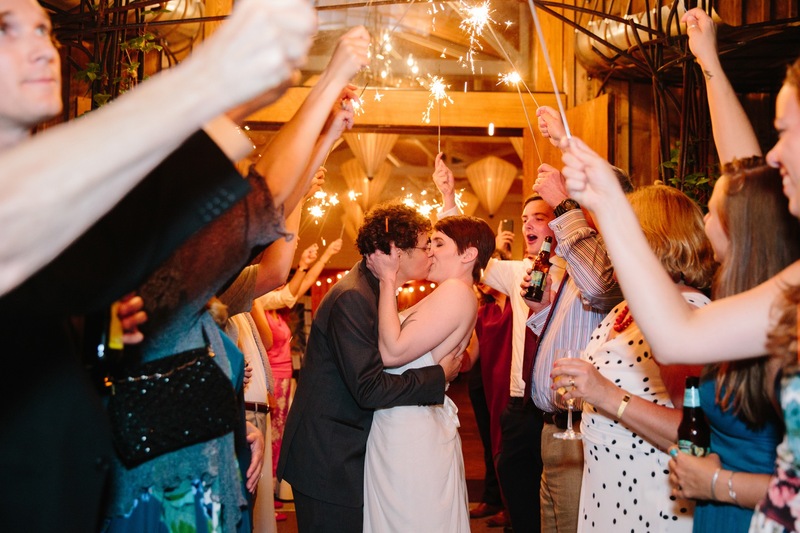 The barn includes a separate bridal suite and groomsmen area as well as a large bar with lounge. There is another outdoor bar and plenty of seating areas outside, including an area for lawn games. But the owners, Dave and Dawn, offer so much more than a venue! We were initially a little hesitant to pick a venue that required us to use their food, but the food at Fireseed was absolutely delicious and we ended up paying quite a bit less than we would have for a separate venue and catering. Another benefit we found was that we could bring in our own alcohol. Dave and Dawn are a husband and wife team and are both wonderful to work with. Dave, helped us decide on a Pacific Northwest menu with some German flair (spaetzle) mixed in for our German guests. Well before the wedding, we were invited to meet with him to taste appetizers and finalize the menu, which was a fun experience. A lot of the ingredients from their menu came from their own vegetable garden, which is right on their property. Dave was extremely helpful throughout the whole planning process. He emailed back and forth with us to decide the schedule of events, offered input on our decoration ideas and questions, and reserved the rentals for us. We were so impressed with not only how helpful he was, but how quick he was to respond to our emails. The day of, their staff set up all of our tables and chairs. And Dawn, along with baking our delicious wedding cake, acted as a day-of coordinator making sure everything ran smoothly. Our pastor even remarked that he had never been to a wedding where the ceremony started on time. Dawn made sure that the ceremony started right when she said it would. We had a little bit of wind and drizzle the morning of the wedding and at one point thought we'd need to resort to an indoor ceremony. Preferring an outdoor experience, Dawn and Dave were dedicated to making that happen for us if they could. 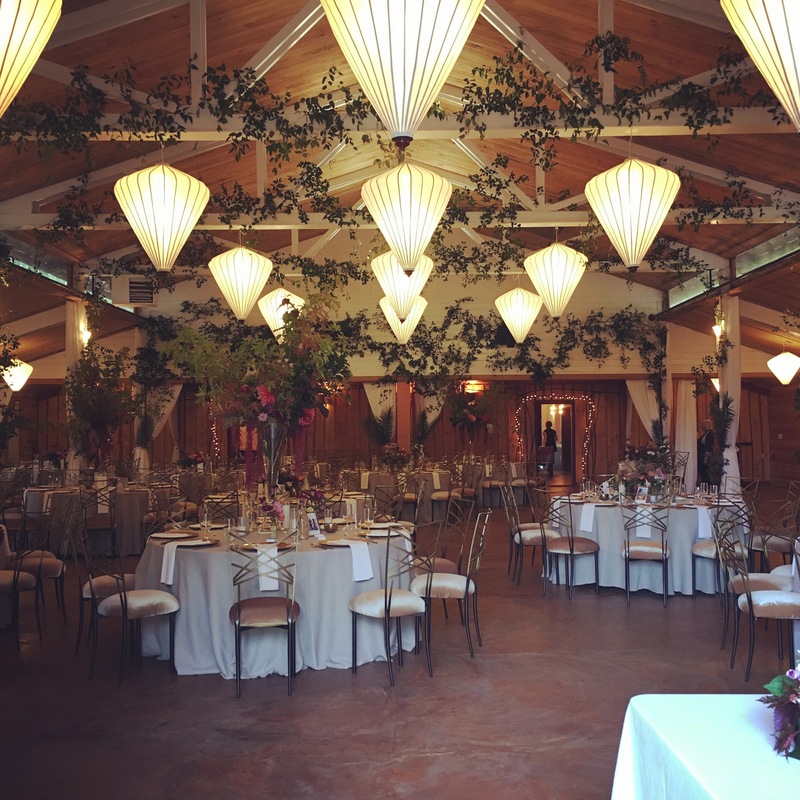 They asked their staff to wait until right before the ceremony to set up the chairs, wiping them down for guests before the ceremony began and provided all the guests umbrellas. Fortunately, the drizzle stopped right as the ceremony began and we were able to get our photos outside as we said our vows. During the cocktail hour and dinner, their staff was so helpful. We didn't have to worry about a thing and were able to relax and take in the entire afternoon and evening. We are so pleased we chose this unique and gorgeous venue! 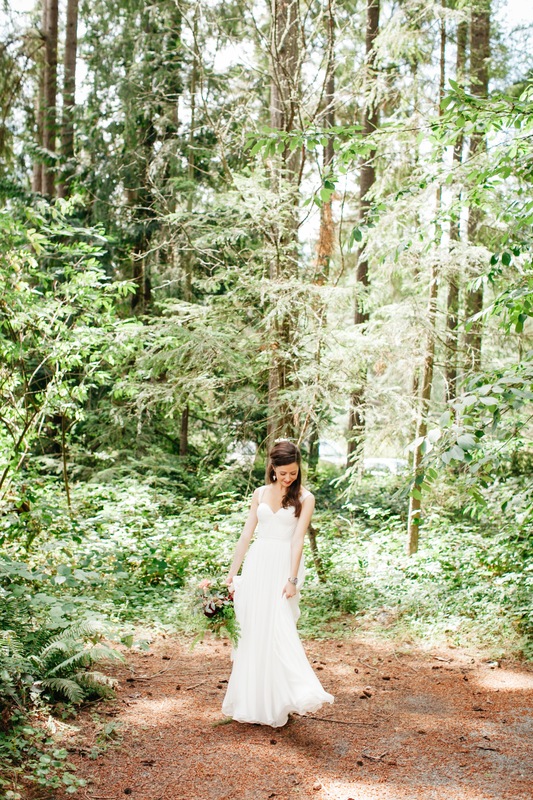 If you're getting married in the Pacific Northwest, there is no better place than Fireseed. If I could choose one word to describe it: magical! Whidbey Island is the perfect weekend retreat for you and your guests. On the island you'll find Fireseed, which is quiet and idyllic. 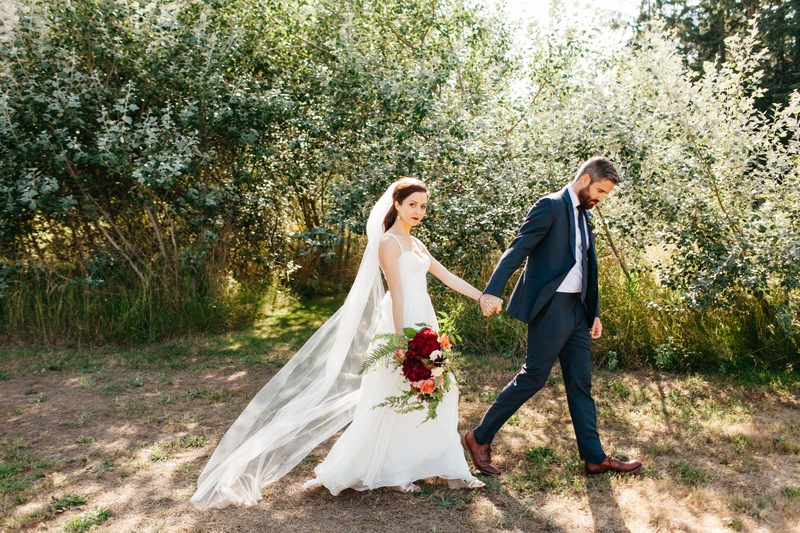 You can hold your ceremony on a gorgeous lawn surrounded by tall evergreens, lush gardens and a lake as your backdrop, or keep it indoors in the beautifully renovated barn. Two bars, one wood slab outdoors and one indoors, make getting drinks easy throughout the event. There are also indoor and outdoor sound systems already installed, saving you from renting A/V equipment. From A to Z the owners of Fireseed, Dave and Dawn, will treat you like you are their only client. They make the entire planning process easy and effortless so you can focus on the big picture---they manage the catering, rentals and day-of coordination for you, and offer expert advice about vendors, logistics and every other aspect of your event. We did not hire a wedding planner, so Dave and Dawn answered hundreds of questions from me, always responding to my emails and phone calls within minutes. I don't know how they do it! The day of our wedding I was completely at ease knowing Dave and Dawn had every detail taken care of. And if all of this isn't enough to sell you, the food is the highlight of the whole experience. The vegetables are grown onsite, and everything is homemade, gourmet and presented beautifully. I am still receiving compliments from my guests about how delicious the food was, and how flawless the day went. This venue wins my highest praises in every single category! This is an exceptional venue with an exceptional team to help you have the most perfect wedding day!! We could not be any happier with our choice to have our wedding at Fireseed! The grounds are absolutely stunning, and I will never forget how I felt as I was about to walk down the aisle and looked around. My eyes teared up as I took in how beautiful and absolutely perfect it was! 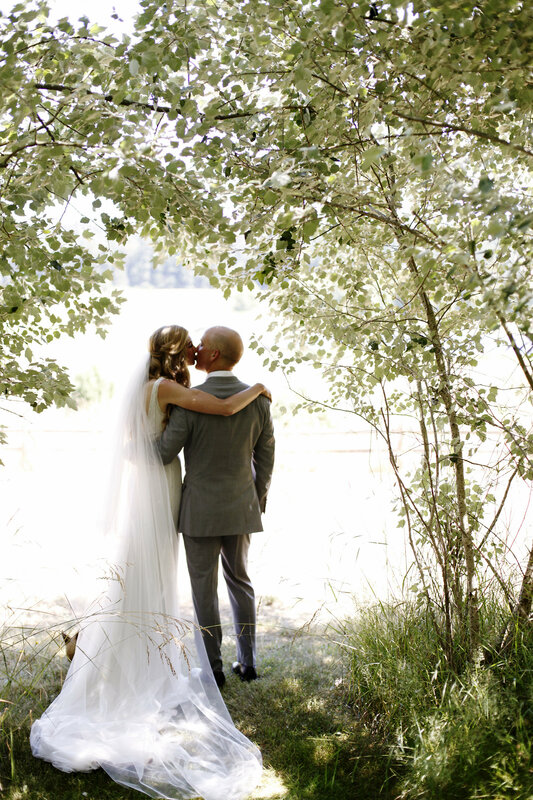 Both our out-of-town and Seattle guests were blown away by by the gorgeous, quintessential PNW setting. The property offers so much variety for stunning photo opportunities, and there are also lots of options for how you set up your ceremony and cocktail hour. They also have an attractive indoor option, and they are extremely flexible on making a last minutes call for moving indoors if the weather is feeling unpredictable. And in the event that you stay outside and the rain comes, the massive umbrella collection they have is comforting. We got extremely lucky with the weather, but it was nice knowing that we had those back up options. Dawn and Dave are really amazing to work with. We met Dave when we first toured the property, and we loved how he came across as just a normal down-to-earth guy vs some of the other overly enthusiastic, salesy wedding event people we had encountered. He was our point person throughout the planning and was always responsive, straightforward, and helpful. We used Dawn and Dave's "Resource" page on their website for selecting vendors, and are very happy with our choices. They were also helpful in helping us organize the weekend for our guests-- from securing a bar that would stay open for us in Langley Friday night to providing a catered brunch for Sunday. Dawn helped organize us at the rehearsal and made the wedding day go extremely smoothly. I was particularly interested in starting the ceremony on time, and she made sure that happened. :-) She was also particularly awesome in helping deal with a small snafu from the florist and easing my stress along the way. We are particularly passionate about good food, which was one of the additional selling points for going with Fireseed. They did not disappoint! Everything was fantastic, and our guests are still talking about it...especially the fried chicken! We decided to go with a family style meal where we brought in elements from both the east and west coast given my southern east coast and my husband's west coast heritages. Dave and Dawn helped us pick some things that made sense-- east vs west coast cheese, blue vs dungeness crab hors d'oeurves, and fried chicken vs salmon. The late night snack of homemade tortilla chips, guacamole, and salsa was also a big hit! The quality of the food is so much better than any other wedding venue I've ever experienced, and the prices are quite reasonable. A BIG thank you again to Dave and Dawn for enabling such a perfect day!!!! Where do I begin?! The grounds are AMAZING, the food was absolutely perfect and Dave & Dawn were the epitome of masterful hosts while being phenomenal culinary professionals. 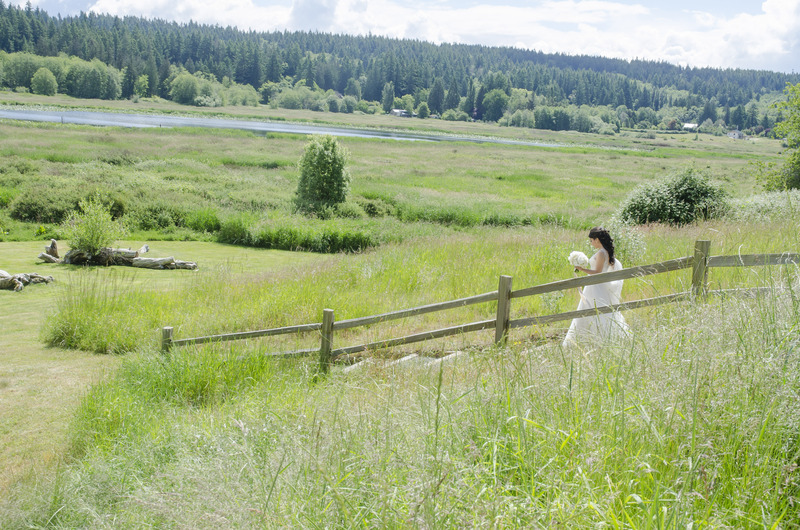 As soon as we set foot on the property we knew it was the place we wanted to have our wedding. Everything was so well kept, well laid out and incredibly inviting. They even have a perfectly placed little playground (with a zip-line) for the kiddos! Dave is one of the most laid back people you'll meet and does a wonderful job helping keep you on track throughout your planning process - he takes care of soooo much of the work for you - so you can enjoy some of the more fun parts of wedding planning. I seriously don't know how I would have pulled this all off if it weren't for him. Being able to have the venue for 3 days was so great and really helped keep the level of stress at a minimum. Not having to arrange the rentals = wonderful! Not having to set up, break down or clean up was a godsend. Having the option of holding the ceremony inside their beautiful barn was a fantastic plan B in case it rained. Dawn is absolutely incredible. She is basically the wedding weekend Choreographer - this wonderful human being knows exactly how a wedding ceremony goes down and she is on top of it all. Our 3 year old son was part of our wedding, was completely out of his element, operating on half a nap and in desperate need of food - Dawn fixed that in no time ordering cheese, bread, apples and water for our little guy without us even having to ask her - she has a keen eye for making things run smoothly. When we were doing our rehearsal I'd mentioned in an offhanded comment to one of my Bridesmaids how nice it would be to have a drink waiting for us after walking down the aisle, well Dawn heard that and said, "We can do that. Just say the word!" I said that would be great and sure enough we had our post ceremony spirits waiting for us and it was wonderful! She also made sure I had anything I needed at all times even making sure my dress was bustled - I felt quite special all day! Oh and while were saying our vows an Osprey and an Eagle decided they need to call each other out while flying overhead all the while Hummingbirds were zipping around the gardens delighting all of our guests. It was really magical as cheesy as that sounds - it's true. Our guests raved about how wonderful everything was and how it's one of, if not thee, best wedding they'd ever been to! We had a blast! I could go on and on and on but I think I got the cliff notes for all of the awesomeness of this venue and the amazing Dave and Dawn Noble.